The personal fragrance market has expanded into a multi-billion dollar business and a large share of that market is concentrated on individual re-sellers like you. Did you know that a million bottles of perfume are sold PER day in South Africa alone? Itis easy to get into this highly profitable business and start making money right now! With this ‘mobile perfume business’ you have no showroom, no expensive high stock levels, no full-time employees to look after and no hefty down-payments to get started. 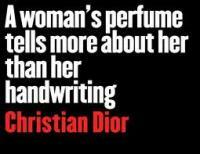 You have no expenses to begin with; and perfume is a product you can sell to just about anybody! Once people buy our fabulous affoirdable perfumes, they come back again and again; and they save hugely not having to buy the originals! No monthly agent subscription fee! MOBILE APP = everything can be done from your phone at the push of a button - simple, easy, convenient and effective for clients and agents!! Additional Income - earn a Once-Off Referral Fee PLUS perfume credits when you refer new agents . NOTE! Wholesale/Bulk purchase qualifies for special discount pricing - contact us for a quote.